Welcome to my hosted chapter of the Reading Strategies Book by Jennifer Serravallo. Before I jump into my post about this chapter, let me just say that I love everything written by Jennifer Serravallo, and own EVERY book she has ever written. So, it goes without saying that as soon as I heard about this book, it went on my wish list to buy as soon as it was published! Let me tell you, that this book does NOT disappoint! It is AMAZING! I was not the only one to fall in love with this book, so I joined together with fellow fans as part of what we call #TheReadingStragegiesCrew (because everyone needs a fabulous hash tag, right?). We have each chosen a section to write about, and my section is goal 6. This book is essentially made up of many, many strategies, so we have decided to choose 2 or 3 strategies to highlight in our posts. 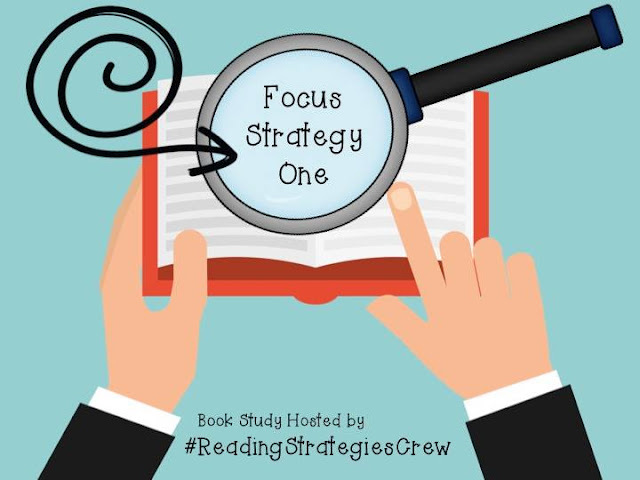 Let me say, that there are many, many more strategies in each section, and they cover pre-emergent readers until the end of 8th grade levels. I find this so helpful, because my class is never composed of 100% of students reading at grade level. Instead, I have a mix of below level, at level, and above level readers. These strategies allow me to differentiate for my learners to meet them where they are. 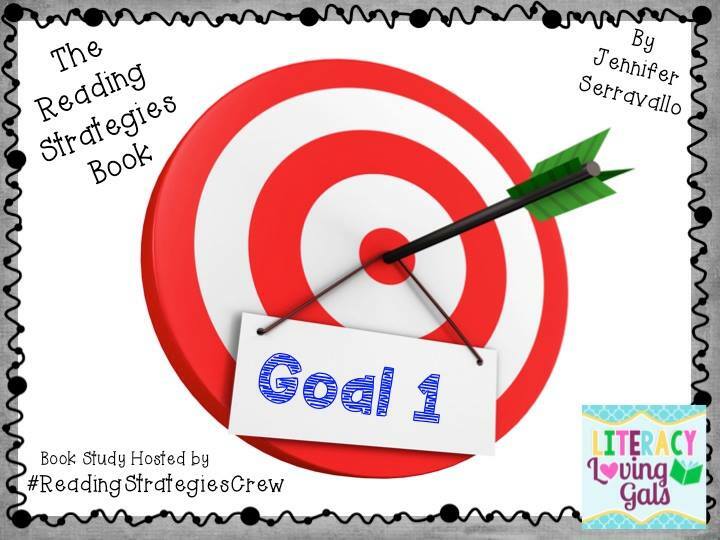 If you struggle with ideas for reading mini-lessons, this is the book for you! Below is a list of all the strategies included in this section alone! For each strategy, Jennifer includes an explanation, lesson language, prompts, as well as anchor charts or other teaching tips to help you implement each one. In my post I will be focusing on strategies 6.2 What's in the Bubble?, 6.11 Character Comparisons, and 6.16 The Influences on Character. According to the book, this strategy is suitable for levels C-M. In this strategy, we are teachings readers to pause and think, "What's my character thinking here?" or "What might my character be saying here?" 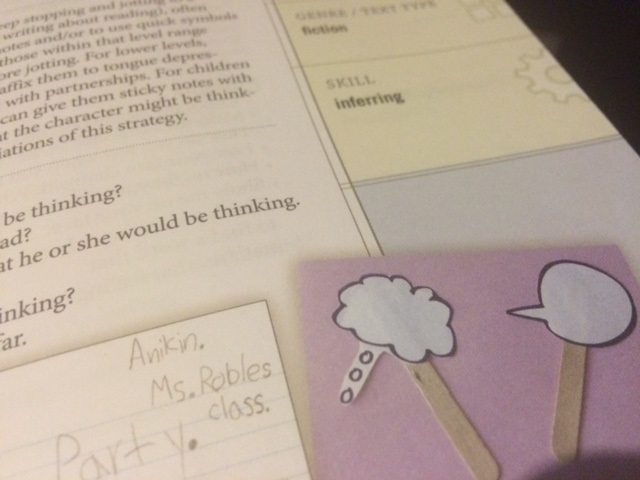 In the book, there is a picture of these think and dialogue bubbles. 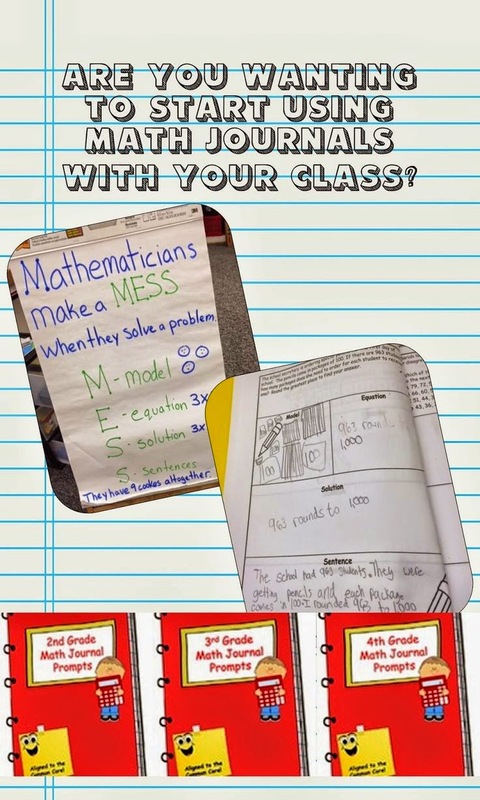 I think they would be the perfect hands on item to have a student use to remind them of this strategy! "What just happened? 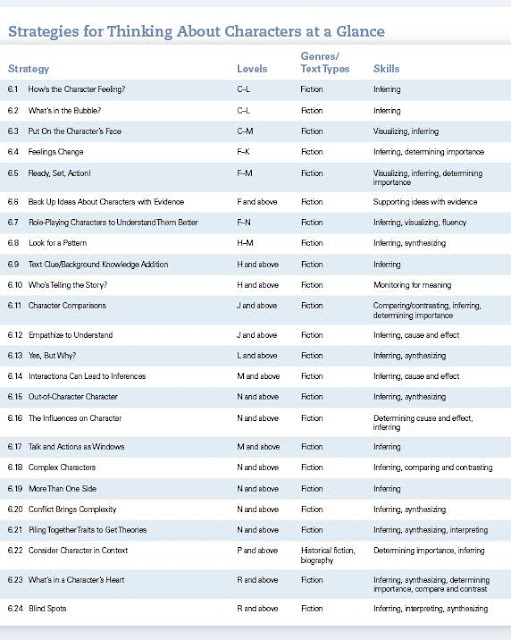 So, what might your character be thinking?" "What words is your character saying in his or her head?" "Before you turn the page, pause and think about what he or she would be thinking." This strategy is best used with levels J and above. 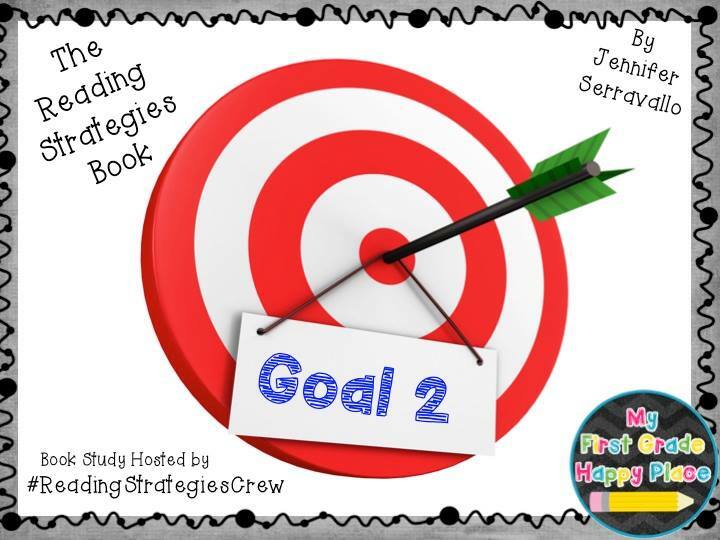 This strategy involves a student thinking about two characters, and then comparing them using ideas such as traits, how they handle challenges, likes and dislikes, interests, change, an lessons learned. 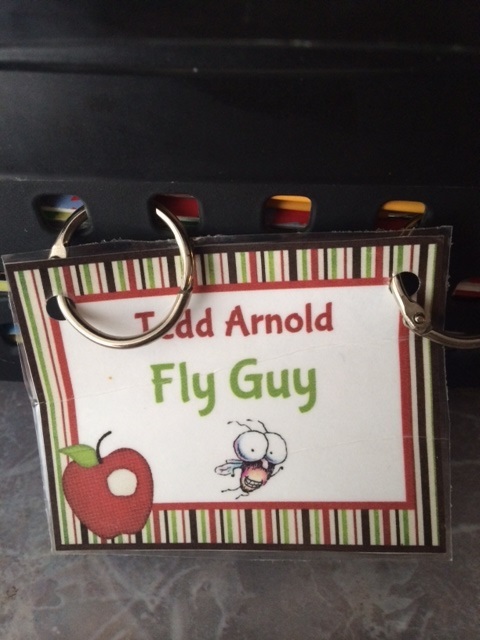 When I conference with students, I like to have items to bring with me to demonstrate what I am looking for or as a teaching reference. One way to make this toolkit easy to carry around is by using index cards on a ring. 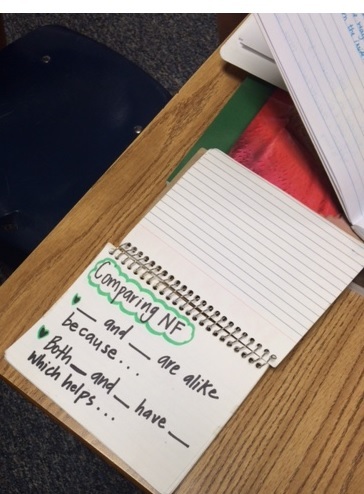 The example picture below uses sentence stems for non-fiction comparisons, but they could easily be used for this strategy as well. 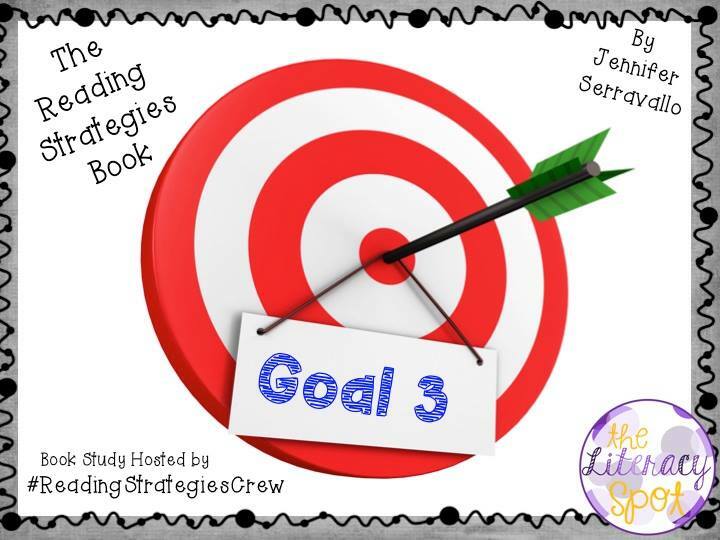 This third strategy is for your readers at level N and above. In this strategy, readers consider all the influences on the character - the problem(s) the character is facing, the other characters with whom he or she comes in contact and the setting of the story. 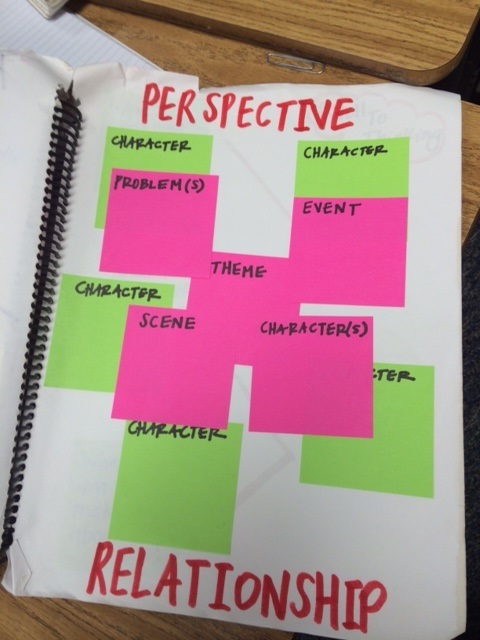 The reader is asked to think about what effects these influences have on the character and how they act in the story. Another tool kit that you might want to carry is mini-anchor charts on an artist sketch pad. Stay tuned for Goal 7 coming from Owl Things First August 24th. 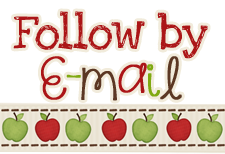 Sign Up For My New Newsletter and Enter to Win a $25 Teachers Pay Teachers Gift Card! 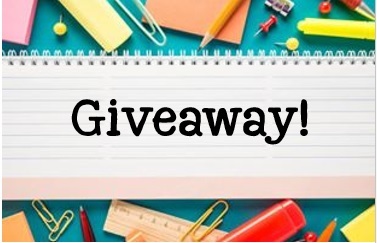 It is time again to enter to win a $25 Teachers Pay Teachers Gift Card! 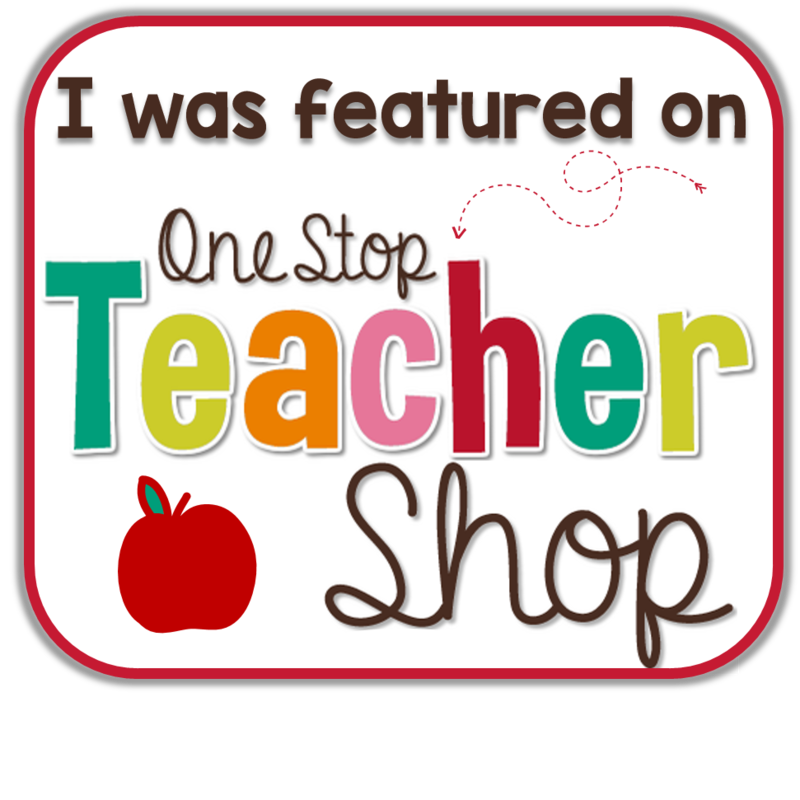 Every month I give one lucky reader a mini-shopping spree at Teachers Pay Teachers! With back to school on the horizon for many of us, this month it will be greatly appreciated, I am sure! 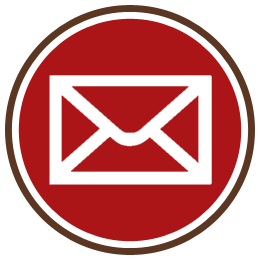 I have just started a new newsletter where you can receive exclusive freebies, sales notifications, and teaching tips about once or twice a month. This month you can receive an extra 5 entries just by signing up! 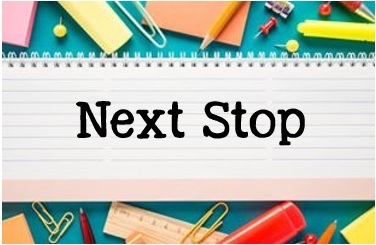 We go back to school officially on August 18th, so you better believe I've been pinning up a storm looking for some new ideas for organizing, decorating, and lesson planning! I can't wait to share a few of my favorite pins and to see what other people are pinning! So without further ado, it is time for Pick 3 hosted by Pawsitively Teaching and the Inspired Owl! My first pick for August is this adorable art project from Kristine from Young Teacher Love. 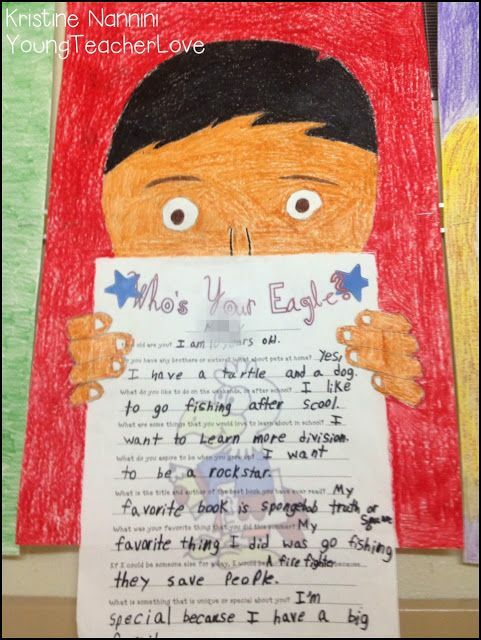 I love how it incorporates a writing project with an art project. 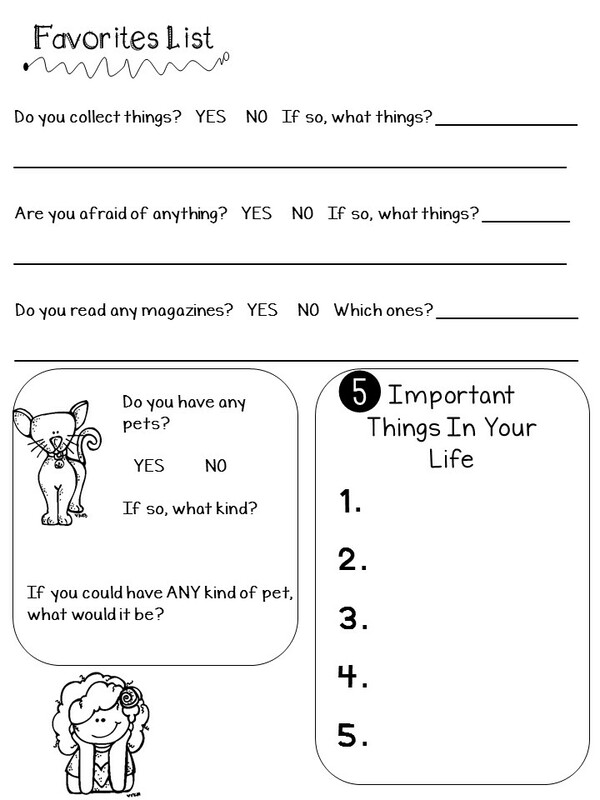 I am thinking about doing something similar using the Important Book to have the students tell me about things that are important to them. I will have had most of my students last year, but, they are constantly growing and changing - so it will be fun to see how they have changed over the summer. 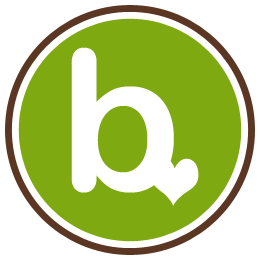 To find the original pin, click here. Ok, this next one is kind of cheating since there are really two pictures instead of one, but I feel like they are very similar ideas, and I like parts of both, so you get a bonus pin! 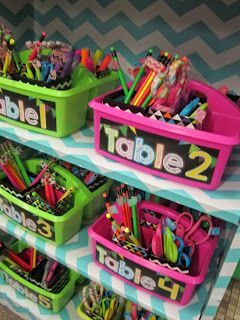 I love the idea of having table supplies for each table ready to go. 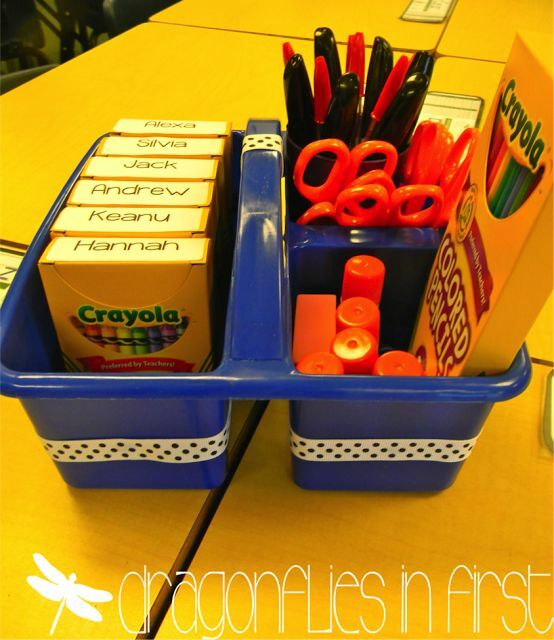 You can have one student from each table grab the needed supplies with no wasted time. I really love the look of these baskets, but it is super hard to see what is inside. I really love the content idea here. 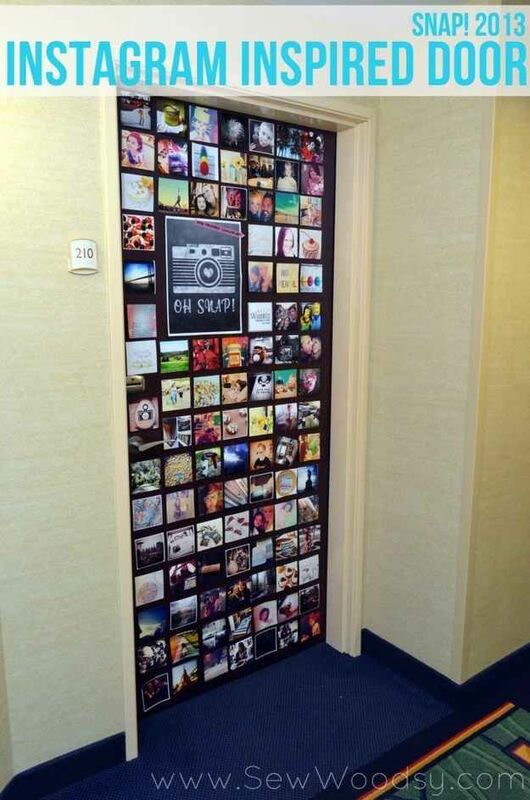 I absolutely love everything about Instagram, so I can't help but love this door idea! I could change pictures throughout the year, and it would give parents something to look at when they are waiting to pick up their kids. What a great way for them to see all the learning we are doing! Since I am looping, I already have tons of pictures that I can use from last year to start the year out! Those are my three pins for the month - to check out some more inspiring pins for August, be sure to check out the blogs below! If you have a blog, link up with your own pins. If you don't have a blog, comment below with your favorite pins! 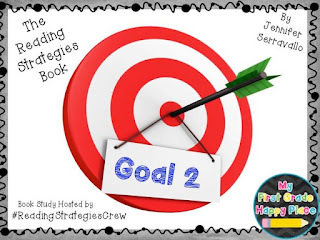 I am linking up with Schroeder Shenanigans in 2nd and Lucky Little Learners for this month's #2getherwearebetter. Today we are talking all things bulletin boards. Now, if keeping bulletin boards fresh and exciting doesn't come easy to you - don't worry - you are not alone! I am not a fan of constantly changing my bulletin boards, but, I don't want to keep the same thing up all year long either. So, here are a few of my tips for making life easier on you when it comes to bulleting boards. Set-Up - When you start the beginning of the year, get your boards ready with a background that you can use all year long. I suggest using fabric or better yet, sheets from Wal-Mart. I used the Wal-Mart sheets and it was under $5. The first time I put them up, I ironed them, but this year, I left them up at the end of the school year, and I am leaving them as is. Because really, who has time for that at the beginning of the year?!? I also like to layer two different types of borders to give it some extra oomph. I have also used ribbons and scrunched up tissue paper as borders. Make Your Bulletin Boards Useful & Interactive- I like to have at least one bulletin board that we add pieces to throughout the year. 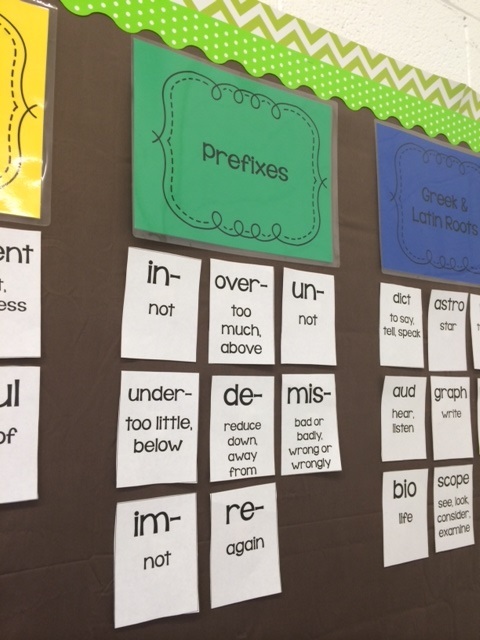 Above is a picture of my BIG KIDS word wall, which focuses on prefixes, suffixes, vocabulary, spelling rules, and root words. Right up my 4th graders alley. 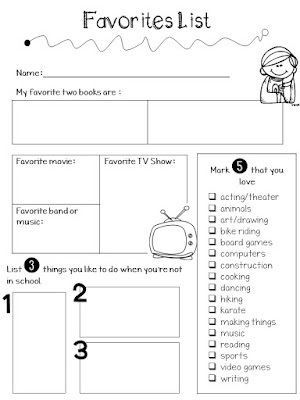 I will start the year with just the headings up, and we will add each piece as we learn it. 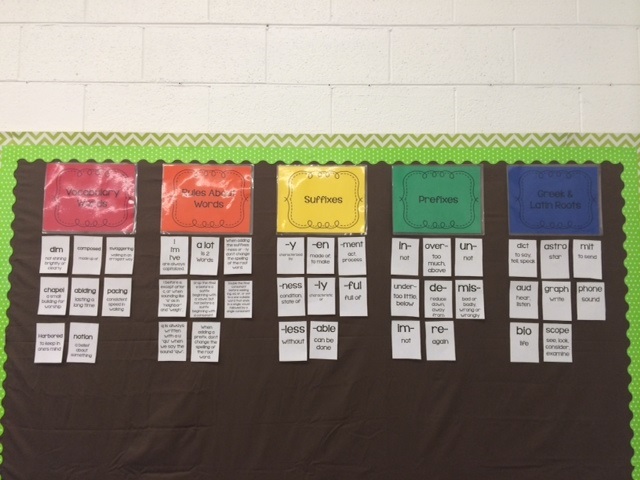 You can find this Word Wall for Upper Elementary Kids here. Calendar Walls and Daily 5/CRAFT/CAFE walls are also some other ideas of bulletin boards you can add to. Anchor Charts- The other way that I like to change out my bulletin boards is by hanging anchor charts to them. 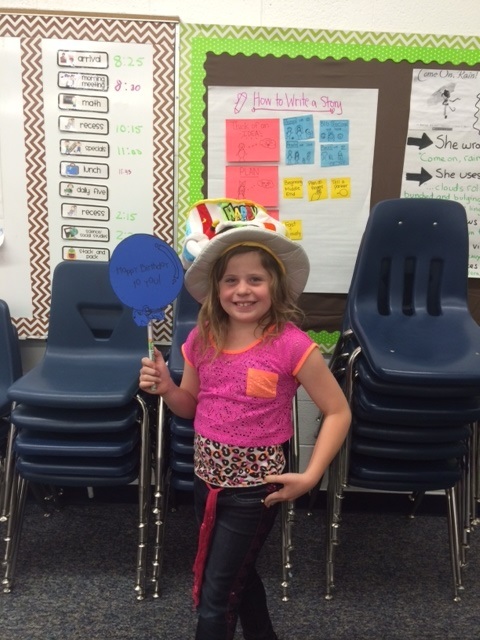 You can see a few of our Writer's Workshop anchor charts on the wall behind this lovely birthday girl. 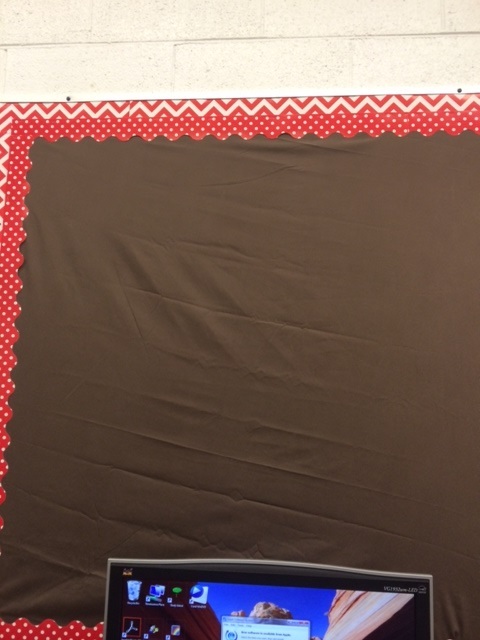 I hope you have garnered a few ideas for keeping it simple when it comes to bulletin boards. If you have any other great ideas, please share in the comments below! 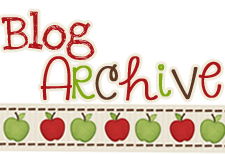 Then head on over to read some of the other great ideas from other bloggers here. When you are setting up your classroom library, you want to make sure that it is both organized and enticing to your students. 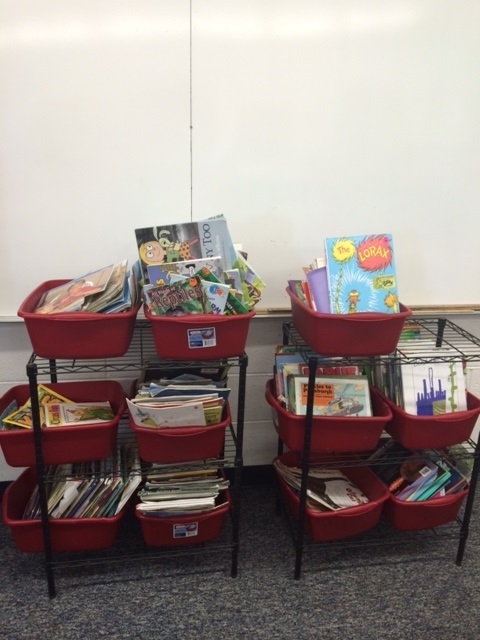 The main goal of a classroom library is to grow readers after all! 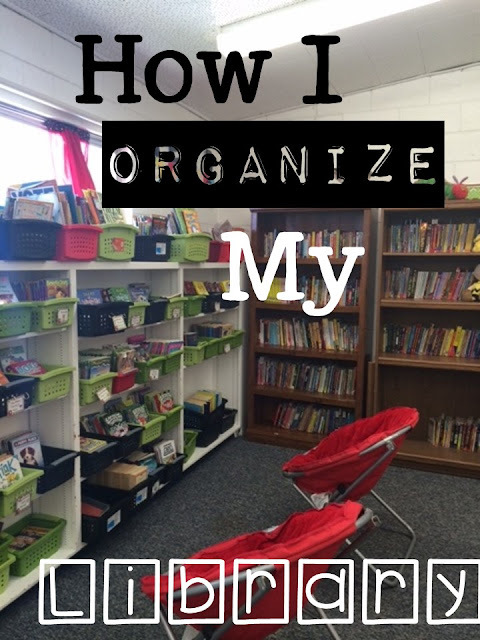 Here are a few of the things that I have done to organize my classroom library. I tried a few different systems from paper based to apps on my phone, but I ultimately abandoned them all. 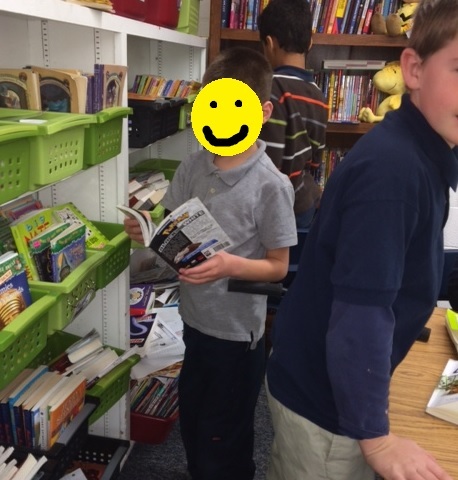 Students can grab any book they like, as long as they promise to return it. I even allow students from other classes to borrow books. You should see the looks on their faces when I tell them that! I used to allow my students to reshelf their own books, but no matter how I labeled them, or how often I REMINDED them, they never seemed to get the books back to the right places. I started a new system at the end of last school year that I will continue this year. I made a "Return Your Books Here" bin where the students return their books (just like a regular library). I then spend a few minutes each day returning the books to their proper places. It has saved a lot of time looking for books for students who only want to read a particular author, or who left their book out and someone else put it away who knows where. Now my books are all in the right place. Levels are for books - not readers. I use bins that are labeled by author or category. Sometimes my students suggest categories (such as mystery, funny guy books, or princess books) as our collection grows. Since my books are floating around the school, I need a way to insure that they come back. 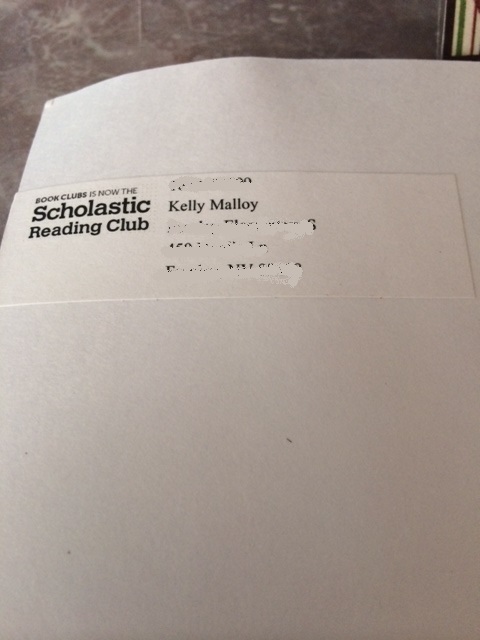 I use labels from Scholastic book orders and some I have printed on my own. This year I am thinking of purchasing a stamp from Vistaprint. Because I teach upper elementary, most of my books are chapter books, but I also have a variety of picture books. 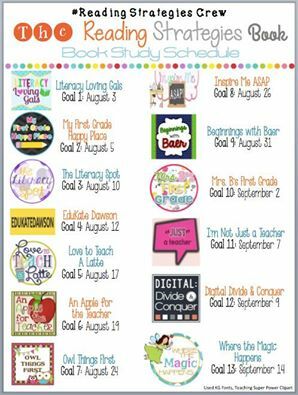 I encourage all of my students to check these out, not just my lower readers. Even adults love picture books! I don't separate these by author because, frankly, that would be too much work, and I just don't have enough space. This is what happens when I let students put books away! LOL! 1. 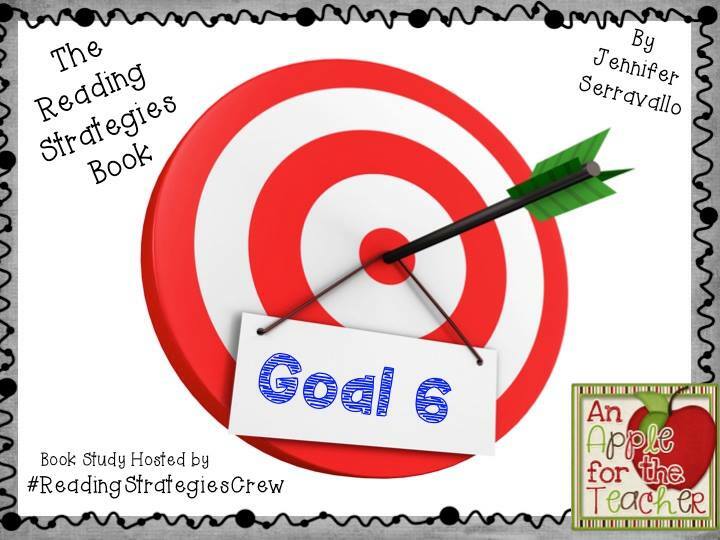 As a scaffold for my lower readers who struggle to find good fit books. 2. To show that some picture books have higher reading levels and ARE good fit books for some of my higher readers. I like to get to know my students as well as I can in order to decide what books they might be interested in. 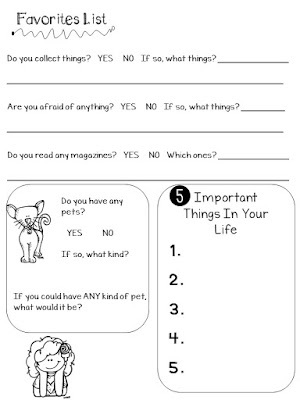 I have uploaded the form I use as a freebie on Teachers Pay Teachers here. **This giveaway has ended. Please head over to our Teacher Giveaway page to enter our current giveaways. 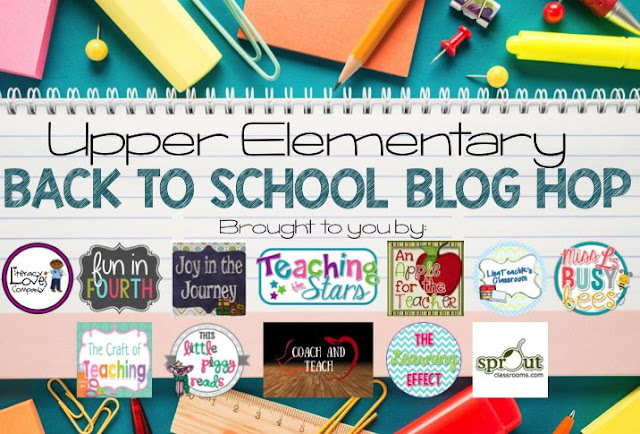 I am so excited to be linking up with a few of my upper elementary teaching blog friends for our Upper Elementary Back To School Blog Hop! We will be sharing our back to school tips, along with freebies, and a great giveaway! 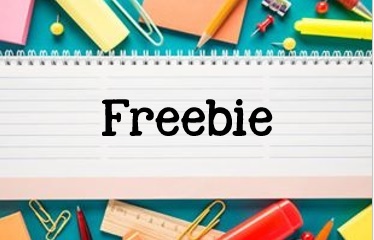 Now head on over to Kayla's blog, Coach and Teach to get her tip and freebie!